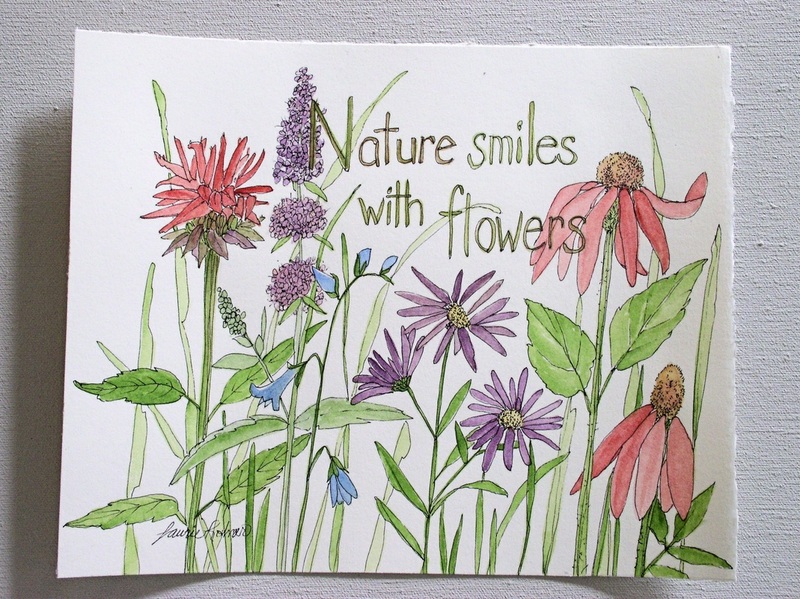 Botanical garden flowers with quote, Nature Smiles With Flowers Nature Art is painted by hand watercolor original painting. Nature Art Watercolor Botanical Flowers with Quote. 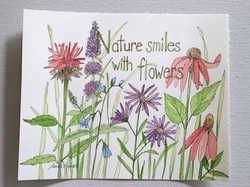 Watercolor painting nature art illustration of botanical garden flowers and a saying ' Nature Smiles With Flowers' is an original artwork by Laurie Rohner. 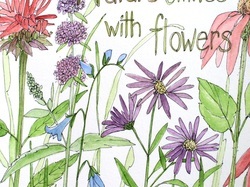 I painted my nature art with herbs, bee balm, coneflower, asters and blue bells, grass grows up between the flowers. 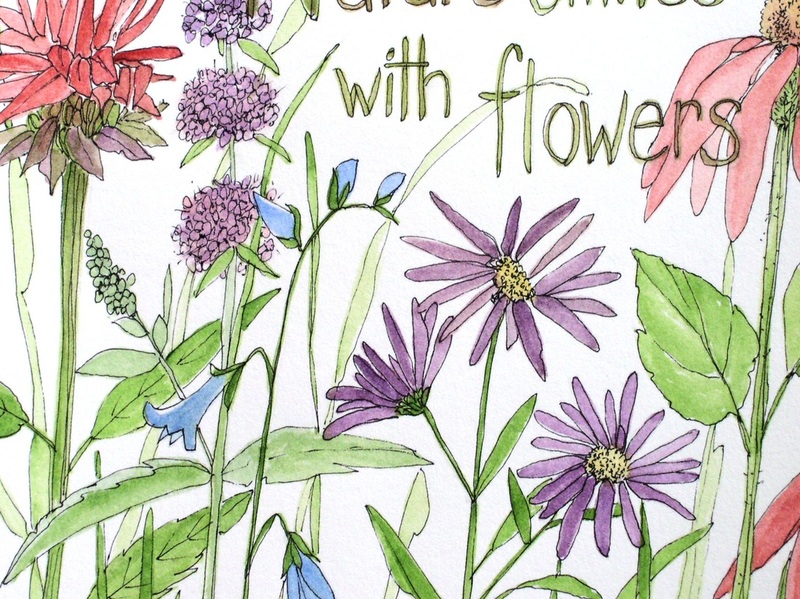 This is an illustration style watercolor with ink on drawing rag paper. I used I am doing a new series of watercolor renderings with inspiring words and sayings sharing my hope and possibility for a great life. 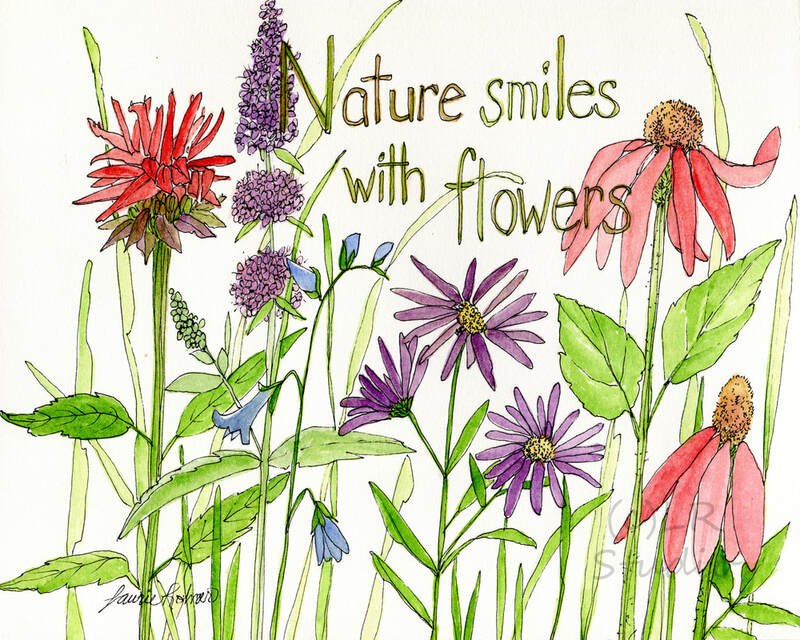 Wall artwork for cottage chic and farmhouse decor. Image and Paper size is 8 x 11 inches. 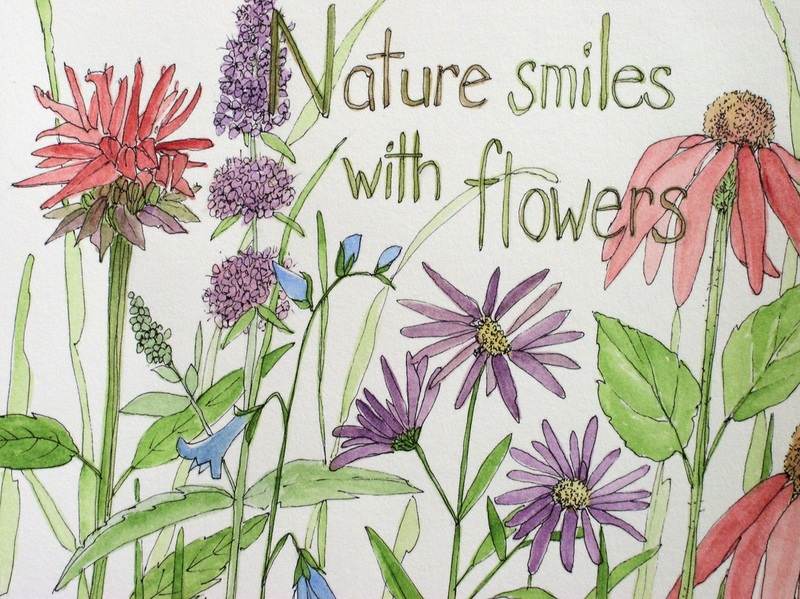 My nature art is original one-of-a-kind paintings that are suitable for framing. The artwork you will receive is hand-painted and has it's own unique and individual qualities. I wrap each painting in recycled brown wrap. This painting is mailed in a first class mailer.